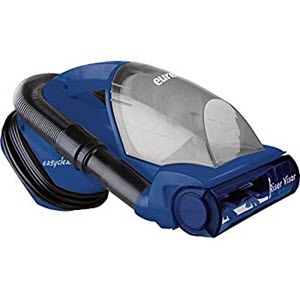 Best DustBuster For Pet Hair | Top Picks And Reviews 2019! When we buy a dustbuster whether cordless or corded, we only look for the basic features which are expected out of using a dustbuster. Not only is it sufficient for an effective dustbuster to help us clean the various areas of our home but also it is equally mandatory for us to put our hard-earned money on something which is worth it. 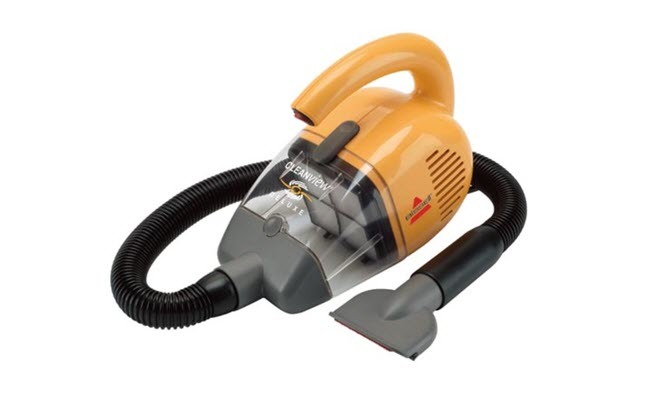 Buying the best dustbuster to remove pet or animal hair is not an impossible task at all; however, we need to have a thorough study of a variety of them to arrive at the one we really need. The basic function of a vacuum is to remove the dirt and debris from the surface of the carpets or the floors, furniture, etc. However, one must also pay attention to the capability of a dustbuster to clean up these areas with the maximum result and minimum effort on one’s part. A variety of dustbusters are available in the market today, and you can choose one according to your own need. There are corded-cordless, bagged-bagless, wet dry vacuums available and one should keep in mind the purpose for which they are to be used. Apart from the already mentioned top 5 picks among the best handheld dustbusters, there are other varieties too that come within a reasonable range. Let us have a look at the best dustbusters for pet hair. No other vacuum comes even close to the Eureka EasyClean 71C in terms of its overall power suction. Designed for quick pickups on multi-surfaces, the vacuum comes with a wide-mouth which picks up even the larger pieces of debris that are to be broken down into smaller pieces while using the other vacuums for the same purpose. One of the major drawbacks of the dustbuster is that it is not easily portable due to its heavy weight of 5 pounds! However, it is conveniently the best dustbuster to pick up pet hair as it easily removes almost 95% of them except a few strands. Giving an overall best performance in removing the dirt from the carpet, the Bissell Cleanview Deluxe 47R51 is packed with combs that extend out of its head which help it dig into the bristles and pick up even the stubborn dust. Also, it has a multi-level filtration that reduces the allergens produced while cleaning and helps keep the air fresh and healthy. In terms of cleaning up the stubborn hair on the floor and carpet areas, it gives a reasonable performance and grabs up to 85% of the hair. 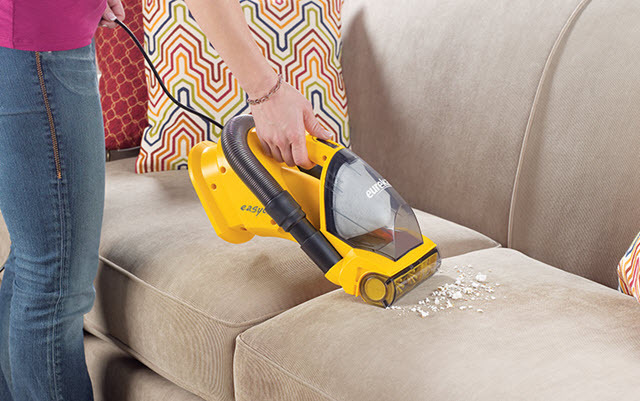 It's ultra-thin, and long crevice tool helps it dig into the deeper areas of the furniture for efficient clean-up. You can choose to go for this model in case you need a quiet motor and for spot cleaning your carpet. If you have pets at home, you can opt to go for Bissell 1650A cordless handheld vacuum as it is considered to be the best handheld vacuum for pet hair. It has a rubber nozzle that attracts pet hair without any mess. 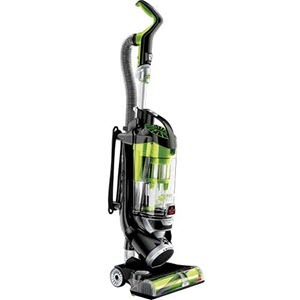 The top of the vacuum has a wide mouth and soft bristles that dig deeper into the fabrics. 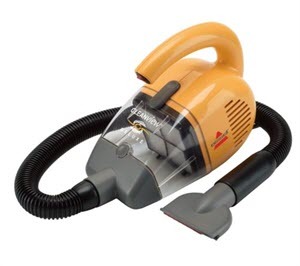 With respect to its rechargeable battery also, it provides a superb runtime of around 17 minutes as compared to the other vacuums in the same lineage. When empty, it weighs around 4 pounds which make it a bit heavy as far a cordless dustbuster goes. No extra attachments such as crevice tools, hose, etc. 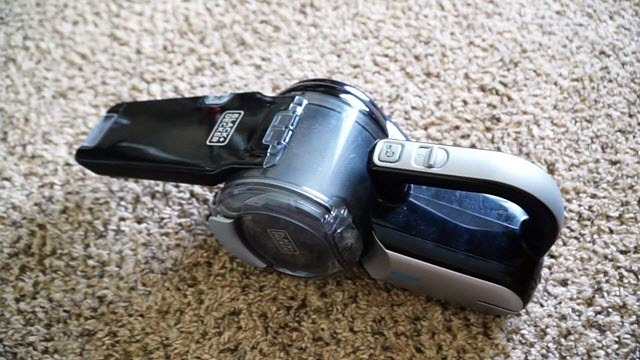 For cleaning the difficult spots of your home, the Black and Decker Pivot 20V MAX Lithium comes with a unique nozzle. Additionally, its Lithium technology provides an effective suction and fade-free power. The best-selling point of this vacuum is its head which can turn into different directions around its handle and thus, helps in a convenient cleaning even in tight spaces. Packed with a 3-stage filtration system, the vacuum provides clean air for breathing through, reducing the allergens in the house. This handheld dustbuster is having a runtime of around 17 minutes with its rechargeable battery. 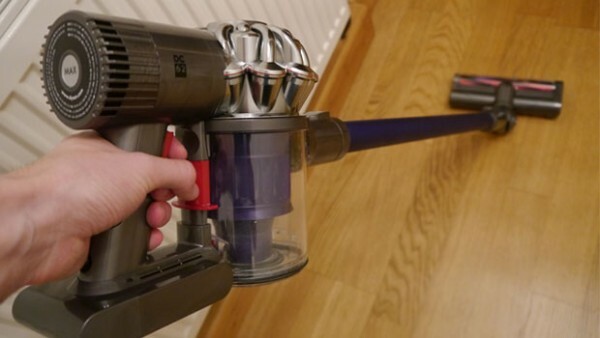 Also, this vacuum gets fully charged to be ready for use within just 6 minutes. 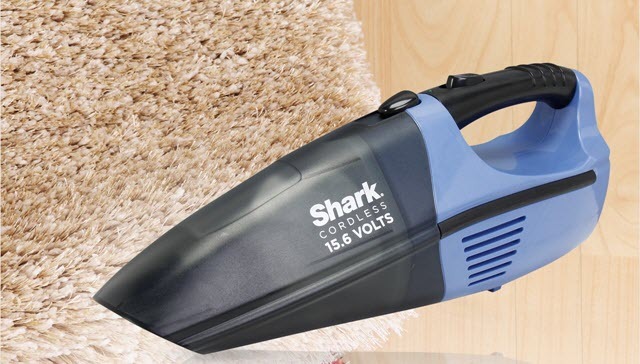 Convenient for all types of spaces, the Shark SV75Z cordless vacuum has a Twister Cyclonic Technology with a smart design and a unique charging stand, making it one of the best dustbusters among the others. 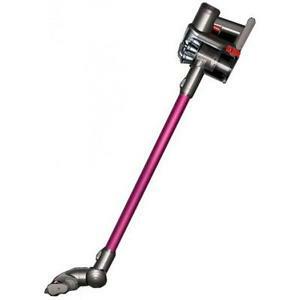 The vacuum has been designed especially for pet hair on upholstery and on the carpet. 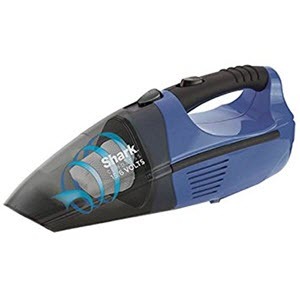 With a rechargeable 18V battery and a high suction power, this dustbuster proves to be quite competitive with the other performers in the lineage of removing animal hair. 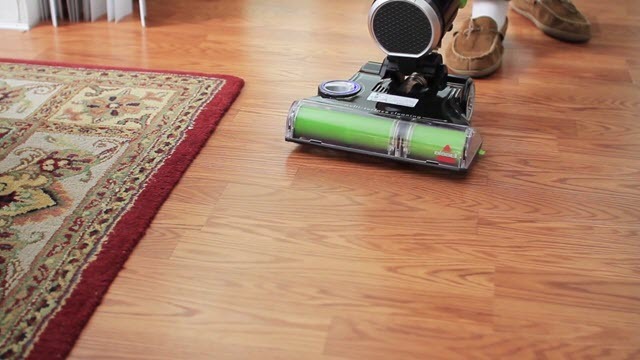 It’s TruePet motorized Pet Brush picks up the pet hair from almost all the surfaces in your home. With a weight of around 4.2 pounds, it doesn’t prove to be a portable vacuum; however, it excels in a few portability factors. One of the disadvantages of this vacuum is that it is not fitted with a rechargeable battery and it takes about 16 hours to get charged but runs only for about 10 minutes duration which is not the best if compared to its contemporaries. Claimed by Dyson as the most powerful cordless vacuum powered by a V6 digital motor, Motorhead DC59 wipes out the dust with much ease and comfort as compared to the full-size vacuums. Giving a superb cleaning time of 24 minutes, it generates around 75% more brush bar power than DC59 Animal and its centralized weight allows the nylon bristles enter deep into the carpet to get rid of that stubborn sitting dirt. It also comes handy with attachments for specialized cleaning. Moreover, as far as removing pet hair is concerned with the use of the vacuum, the Motorhead 59 gives a tough competition to its contemporaries with its re-engineered brush roll. It works equally well on the carpet and on a hardwood floor too. Additionally, it also comes with a combination tool which is suitable for various uses as per the needs such as the nozzle becomes a brush tool for dusting and also a crevice tool for carrying out cleaning in intricate spaces of your house. Whether you are choosing a dustbuster for usual cleaning or dusting or for tackling the unmanageable pet hair from different areas of your home or for the purpose of cleaning up the vehicles inside out, you must at least do a thorough study of the variety of dustbusters to choose one as per your requirement. Dustbusters are available, offering a wide range of features and with different pricing options, but one should pay attention not just to the features it offers but also for the comfort and convenience of its use. There is no point buying a vacuum just because it is cheaper or expensive than the others or it comes handy with a few additional attachments. It is necessary to see its intended usage. 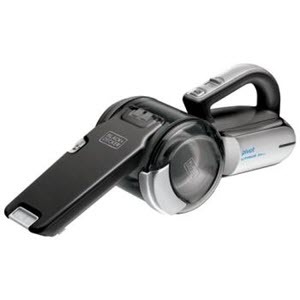 The above-mentioned dustbusters are a few examples in their respective categories as they provide one or the other feature that is different from the rest. Thus, it becomes mandatory to not just look at the cost of a vacuum before buying it but also check its compatibility with your needs and the comfort and ease that it provides.